ISAAC Go admitted he felt he needed to take the back seat last UAAP season with the entry of hulking big man Ange Kouame in Ateneo. "You noticed last season, I didn't play much. Actually, it's not because I didn't play much but I felt that I did not deserve the minutes. I understand coach's decision because Ange was killing it. I felt that last year, that wasn't me," he bared. But that doesn't mean the Ateneo big man is ready to concede. Now on his fifth year, Go said he is ready to regain his groove and reclaim his place in the main rotation of coach Tab Baldwin. 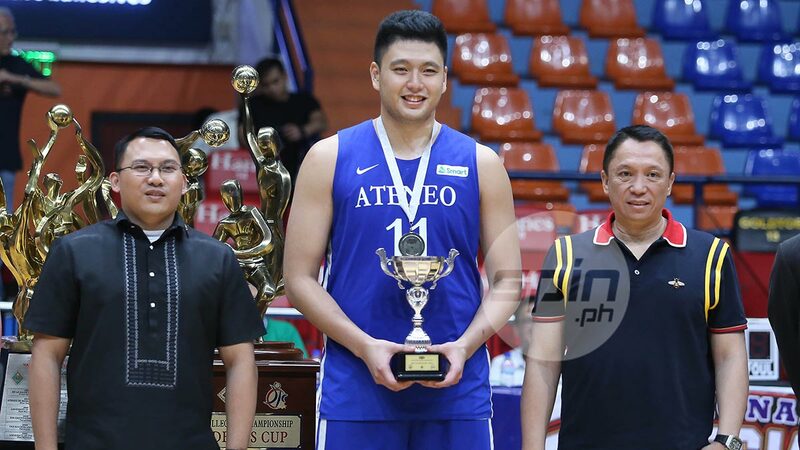 He took a big step in that direction in Ateneo's triumph in the 2018 Philippine Collegiate Champions League (PCCL) President's Cup. Go averaged 10.0 points and 4.3 rebounds in the three-game semifinal series against San Beda and had a solid 15-point, three-rebound performance in the Blue Eagles' 95-71 clincher over University of the Visayas in the championship game on Monday. "It's a challenge now to tell coach to play me," he said. "I wanna show coach that even if we have Ange and that I will take a step back, which I think happened to me last year. Of course, I'll take a step back if it's for the team, but I can't just step back without showing that I deserve that spot. I have to show coach that." Go's efforts weren't for naught as he was named the PCCL Most Valuable Player. Yet, as driven as he is to show his worth, the eloquent slotman maintained that his focus will always be on team play. "Of course, I feel happy now that we won, but the more important is being a team. We've been preaching that the team always comes first and the team did pretty well," he said as he relished winning Ateneo's fourth PCCL title. "Nagkataon lang na ako yung pinakamaraming na-shoot."